Carers who voluntarily look after younger relatives to stop them being taken into care are being denied thousands of pounds in welfare entitlements as a result of the two-child benefit cap, despite government promises to exempt them. Campaigners have called on ministers to change rules whereby kinship carers who act as guardians for at least two children are refused child tax credits and maternity grants when they decide to have a child of their own. Ministers promised kinship carers a year ago they would not be subject to the two-child policy after a defeat over the issue in the House of Lords. However, it has emerged that the exemption only applies to carers who have birth children first and then become guardian to a third child – not the other way around. Although in such cases the third child is the carer’s first birth child, officials have blocked child tax credit payments worth £2,780 a year because the claimant is considered to have breached the two-child limit that came into force in April. Melanie Onn, Labour MP for Great Grimsby, said it was unjust that kinship carers who had made great personal sacrifices to care for relatives – and saved the state hundreds of thousands of pounds in fostering costs – were refused financial support. Onn has raised the case of a constituent, Alyssa Vessey, 22, of Grimsby, who was 18 when she gave up college to formally care for her three younger siblings following the sudden death of their mother four years ago. Vessey was told that her application for child tax credits and a £500 Sure Start maternity grant before the birth of her baby this summer was refused because she had fallen foul of the two-child rule. She appealed twice but was turned down both times. Her son is now three months old. The Department for Work and Pensions stood by the decision to deny child tax credits to carers like Vessey, saying it ensured fairness between claimants and taxpayers who support themselves solely through work. The two-child limit was introduced by the former work and pensions secretary, Iain Duncan Smith, two years ago on the grounds that it would force parents to “take responsibility” for their choices and teach them that “children cost money”. Since April, as a result of the policy, families that have a third or subsequent child will no longer be able to claim child tax credits for this child or any future children. Tax credits are intended to help with the costs of bringing up a child. The government expects to save more than £1bn annually by 2021 through the two-child cap, although charities estimate it will trigger a 10% rise in child poverty over the same period as affected families stand to lose nearly £2,800 a year. 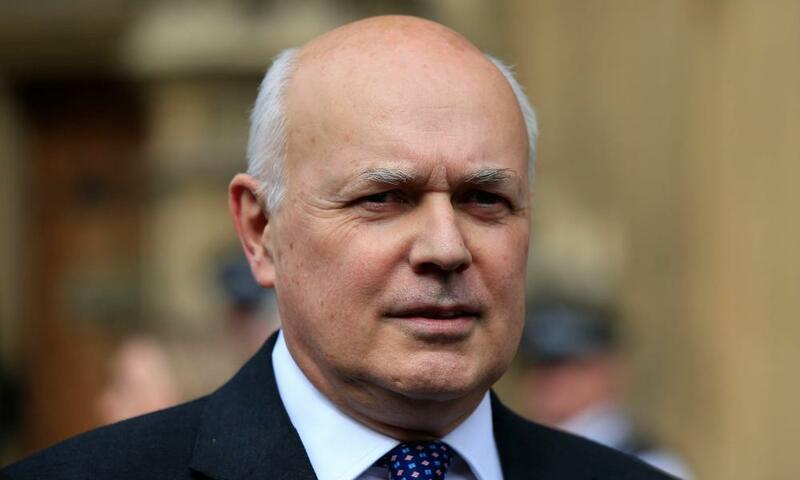 Ministers, who had previously lauded kinship carers as “unsung heroes”, eventually agreed to exempt them from the two-child cap last year after a defeat in the Lords during the passage of the welfare reform and work bill. Opposition peers had argued that failure to exempt would deter potential carers from coming forward. It has emerged that the government was warned about the anomaly affecting carers in Vessey’s situation by the Kinship Care Alliance last November in a formal consultation response, but this appears to have been ignored by officials. Cathy Ashley, chief executive of the Family Rights Group charity, said: “It is particularly pernicious that this anomaly impacts on those who have gone the extra mile in caring for their younger siblings, often from a very young age. Children move into kinship care for a variety of reasons, including parental death, neglect or abuse, parental illness, addiction, and imprisonment. An estimated 200,000 children in the UK are raised by kinship carers, saving the taxpayer billions of pounds. When her mother died suddenly four years ago, Alyssa Vessey was a Grimsby teenager training to become a hairdresser. Just days later she was asked whether she would be prepared to look after her three younger siblings – become, in effect, their replacement mother. Becoming a kinship carer aged 18 was, she says, the hardest thing she’d ever done. “I had to do everything, waking them up in the morning and making sure they got breakfast, making sure they got to school, doing the tea when they got back, and making sure they did their homework. Vessey says she had to give up her social life, and she lost friends as a result. Money was always tight as she adjusted to her new role. She got a job at Primark to help make ends meet and put a bit put aside to take her siblings to Lincoln on a rare holiday. This summer Vessey and her partner, Adam, celebrated the birth of their own child, Joey. They have had to cut back hard after being informed that Joey did not qualify for tax credits or a Sure Start maternity grant because they had breached the two-child limit.